Born in 1937, Joseph "Joey" Lewis grew up in a home where his elder brothers, Sonny (Boyie) and Randolph, had their own bands. Joey began playing music when he was 10 years old and later joined Sonny's band on the piano. After being dropped from Sonny's band a few years later, Lewis formed his own band in July 1954 with some of his friends and called it "Joey Lewis and the Teenagers." Lewis taught himself to read music with great help from Frankie Francis and began arranging and composing for his band. In 1960, he composed "Joey's Saga" in which he incorporated a new guitar-strumming style called the "saga thing." The tune not only became a hit but, with its unique beat, helped create a new "Saga Ting" dance in Trinidad & Tobago. By then, the name of the band had changed to the Joey Lewis Orchestra. Called Pal Joey by his friends after the 1957 American movie "Pal Joey" which starred Frank Sinatra and Rita Hayworth, Lewis later changed the name of his band to Pal Joey and His Orchestra. 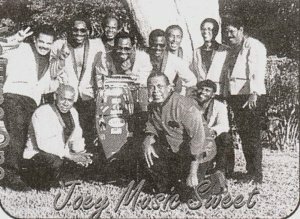 Over the years, Lewis's band has provided music for various masquerade bands during Carnival, and has appeared throughout the Caribbean, North America, and Europe. 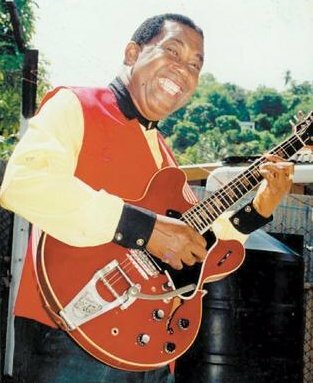 The band has accompanied several popular calypsonians during their recordings, including the Mighty Sparrow, Mighty Duke, Mighty Terror, Lord Shorty, Mighty Chalkdust, and Singing Francine. The band continued to function in 2003. 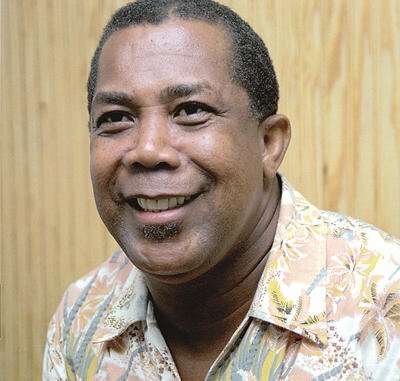 In 2011, Joey Lewis began receiving treatment for colon cancer and died in Trinidad on February 8, 2016.